I was extremely unhappy with my weight and it was affecting my mental health. I became anti-social, stopped going out with family and friends, and I was just unhappy with the way I looked. The Ideal Protein Program has been the only thing I’ve tried that has actually worked! The program was easy to follow and I’m very happy with my decision. I feel a 100% more confident in what I wear, and I’m no longer self-conscious about my pictures, my waist, how I look in clothes or about going out. My weight is no longer an issue and it is something I’ve struggled with for a few years now. Overall, I am in a much better mental state! 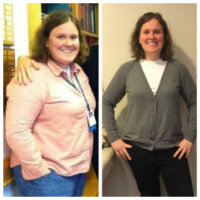 Charles Street Family Chiropractic is an authorized center for the Ideal Protein Weight Loss method. The program is a medically designed and supervised weight loss protocol that targets fat without compromising muscle. It accomplishes this by utilizing superior quality, high biological value protein based products. And our weight loss and wellness coach, Tiana Celesia, will be here for you every step of the way! 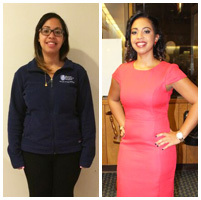 Tiana will help guide your way through the program, to help you reach your health goals. Let Ideal Protein Help You Find Your Best Self! The Ideal Protein products combined with a few basic supplements also ensure that the program is healthy and safe. The valuable educational knowledge you learn throughout the program combined with the coaching and support will help you sustain your results on a long term basis. Contact Charles Street Family Chiropractic in Boston today at 617-720-1992 to schedule a consultation with Tiana. Then download and read through our program overview brochure for more details: It Just Makes Sense. Please print and complete this intake form to your appointment.